I’ve had a big blank wall on our master room for awhile now that really bothered the eye each time I had to look on that direction. Initially I was going for a mirror, then a piece of art work but the idea of making it special and personal got stuck in my head. I love taking pictures, so I thought that there wasn’t any other perfect way to incorporate my passion for photography with the love of a mother into a gallery wall. 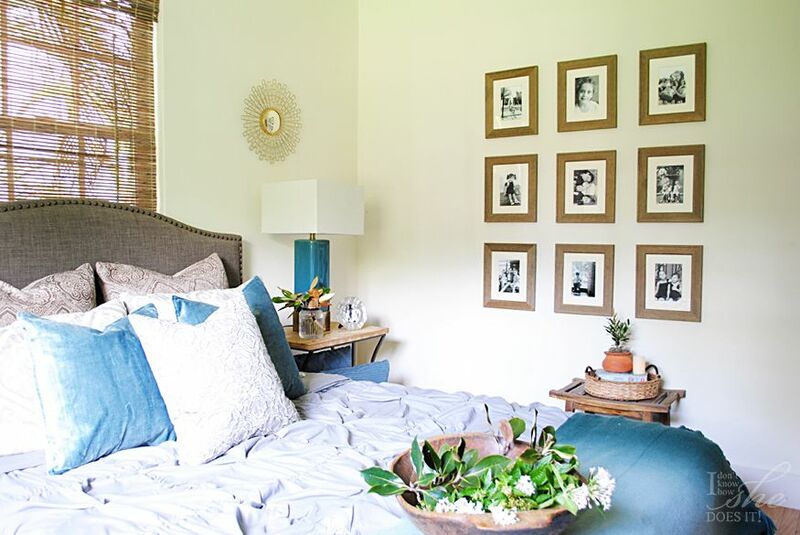 Since I wanted this wall to be a focal point but at the same time to add a subtle touch to the whole aesthetic of our room; I decided to create a grid of frames (these are from BHG at Walmart, find them here) of the same size and style. This arrangement can easily be left on 6 frames (by eliminating the last row) but because I wanted to cover most of the blank space, I went for the lucky number 9. I wasn’t going to break my head with numbers and calculations so what I did was to create a big X by taping from each corner a long tread to the opposite side. This gave me the exact point of the center of this wall and where I placed the first frame. From there on, all I did was to measure 4″ from each side which gave the exact position of the next frame. To make sure the frame wasn’t leaning more to one side, I use a small level. For the photos, I printed them on black and white to make them more eye grabbing and without any white border in 5″x 7″ format. I have to say that besides adding a personal touch to our room, this wall has a very deep sentiment to us. It is where our hearts hang and a reminder of what a beautiful family we’ve been blessed with. 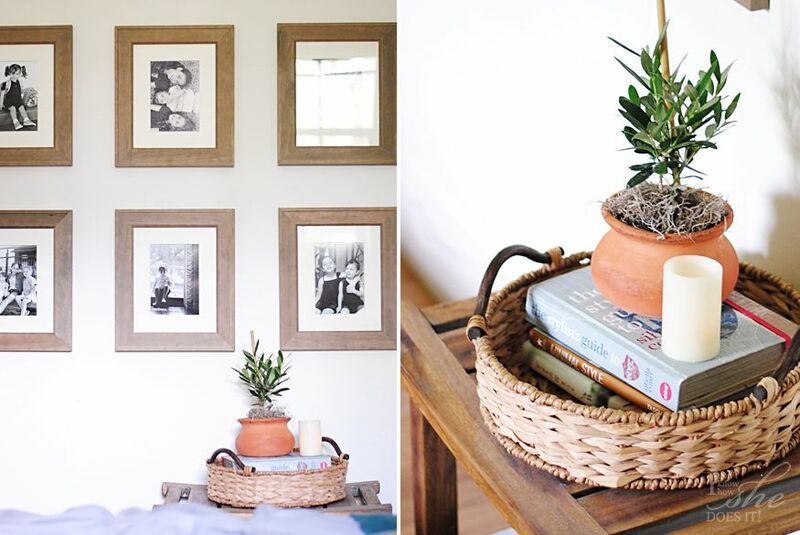 Share with me your thoughts on how you personalize your home. 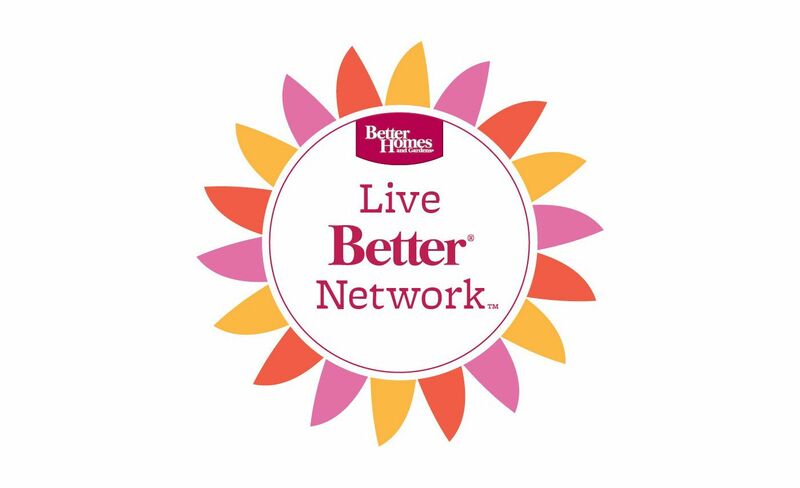 So honored to be part of the BHG Live Better Network where, as a blogger, I’ve received compensation byBHG at Walmart. The opinions stated here are my own. For more updates on their products and decor ideas, you can always follow them on Facebook, Pinterest, Twitter and Instagram. Beautiful! I love having photos and family memorabilia displayed around my home! Thank you so much, Debbie! This is the first time I've done a gallery wall, and I think I'm planning on making another one pretty soon. Thanks for stopping by! Oh, wow Monica, I'm so happy this inspired you. Would love to see your creative take on that wall. 😉 Thanks for the lovely visit!